Despite what it looks like, these two are NOT professional models. Andrea and Marcus are the kindest, most down to earth, loving people, and they had a wedding that reflected all those warm, genuine qualities. I mean, look at Marcus looking at Andrea. Melts my heart. Andrea is also an event planner, and planning a fellow planners wedding is intimidating! Fortunately for me, all this meant was that she was incredibly organized and on top of things and the day of the wedding, she let go and let me handle her plans. I am pretty sure it was a match made in heaven. 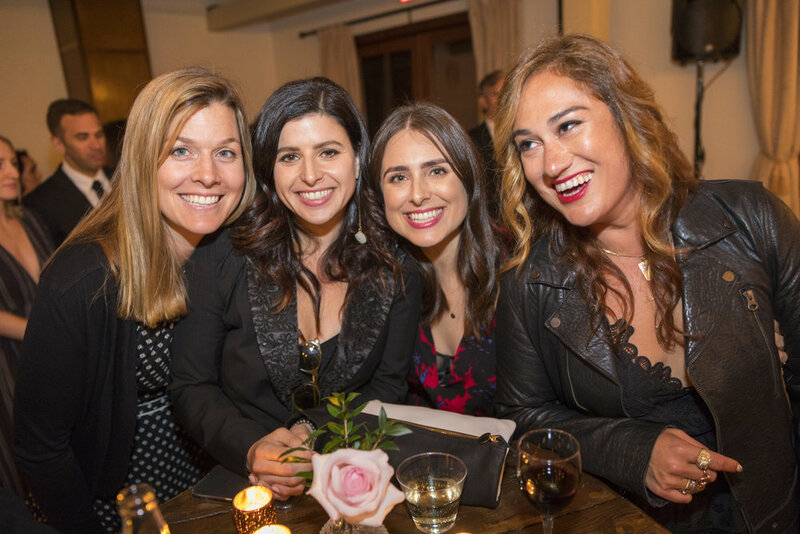 They hosted their ceremony and reception at the beautiful 1909 in Topanga on a chilly May day. We were all thankful for the heaters that the venue had on hand, which kept their guests warm for the ceremony, cocktail hour and dinner. Their vendors were a mix of professionals and friends who also happened to be professionals. Everyone rallied to make this day magic. Their centerpieces and decor were classic and the color scheme gorgeous and modern - just like the couple - rose gold, copper and light pink. Andrea rocked her non-wedding dress wedding dress which received more compliments from the staff than I've ever heard (another example of how you don't have to spend an arm and a leg on your wedding if you don't want to!). Because the couple are vegans and activists, they nodded to their values by serving the BEST vegan food at dinner. Additionally, in lieu of wedding favors, they donated to PETA in everyone's honor. Personally, I think that wedding favors are a bit unnecessary (there are always leftovers and most times they get tossed in the trash). I thought this was such a kind gesture. These carefully planned personal details packed full of meaning and love are always my favorite. After darkness covered the outside field where people were dining, guests made their way into the building for a dance party reception. Andrea surprised Marcus with Star Wars themed desserts - his face when he saw the (vegan!) dessert station was priceless. 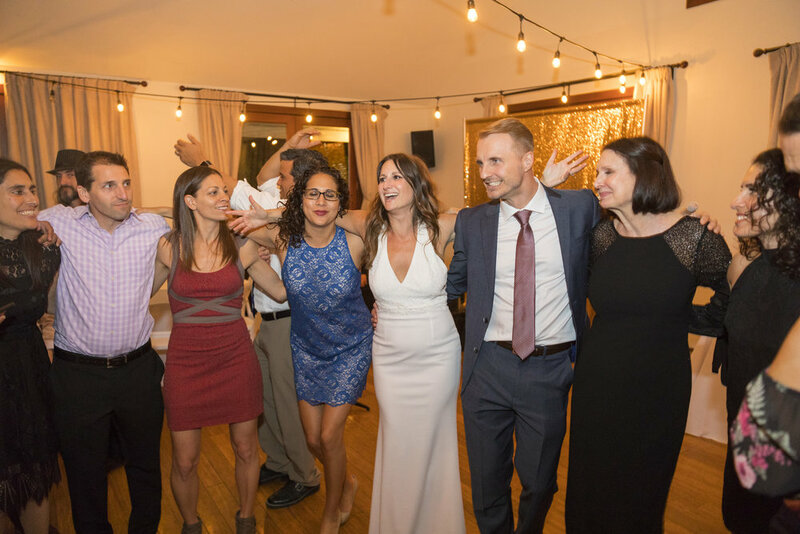 The couple and their friends and family danced the night away, radiating joy and happiness. It was an honor to witness.